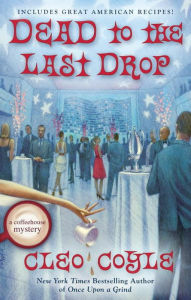 Synopsis (from BN.com): Carlisle’s pleasing if flawed seventh Bibliophile mystery (after One Book in the Grave) takes book-restoration expert Brooklyn Wainwright to an astonishing mansion overlooking Lake Tahoe for the 50th birthday party of computer genius Grace Crawford. Grace has stocked her labyrinthine home with enough hidden panels, man-sized mouse traps, and holistic images to either entertain or terrorize her diverse guests. Grace promises to cap the party with readings from her as yet unpublished autobiographical novel. But the fun and games turn deadly when Bella Santangelo, one of Grace’s corporate employees, dies after drinking passion fruit iced tea. But was the poisoned drink meant for Grace? Driven by a restless need to pry, Brooklyn uses her deductive skills to try to discover who wanted Grace dead. The story moves slowly, not without wit and surprises, toward an ending replete with chaotic scenes of confessions, revelations, and physical assaults. 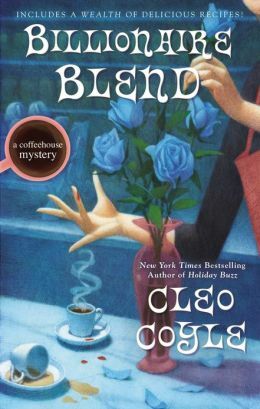 Title: A Brew to a Kill (Coffeehouse Mystery Series #11) – I have read all of this series and they are excellent!! Synopsis (from BN.com): Coyle’s Coffeehouse books are superb” (Library Journal), and now the national bestselling author of Murder by Mocha serves up a hot new Coffeehouse Mystery with A Brew to a Kill.